It is a beautiful property and the staff were inviting and very accommodating! We were there for our 30 year wedding anniversary and were showered with gifts and congratulations. We loved our stay at the Fairmont Kea Lani Maui. The hotel room is very comfortable and the hotel facilities are fabulous. As I was celebrating a special occasion the staff treated me extra special as well. Everyone working at the resort treated us like royalty made it very special. My stay at the Fairmont Kea Lani was absolutely lovely. Very peaceful, relaxing and luxurious. The only reason I didn’t give a 10/10 was bc unfortunately there was no room upgrade available that my holiday package included. I understand it depends on availability but I was hoping it might work out. Oh well- next time! Thanks for the great time- I will definitely be back! Our family had a great time at the Fairmont Kea Lani. The staff, the grounds, the location, the food, everything-all excellent! We had another great stay! We have been coming here every spring break for years. It is very comfortable and relaxing and such a beautiful spot. I was a bit disappointed with the new food market. Most of the food was cheese laden which isn’t good for lactose intolerance which my family has. It would be nice to see more salads and sandwiches without cheese. This is our 6th year visiting the Kea Lani and for us, it's home! We love this place and love each employee, they've become family to us. The staff at the hotel make the experience spectacular. Everyone smiles and greet guests anywhere in and around the hotel. Housekeeping was especially friendly and always seemed eager to assist or simply offer a smile and an “Aloha”. The facilities are incredible but the staff really make the experience special. Check in is always friendly. The property is beautiful, well-kept, the service is always great -- the reasons why we keep coming back. The rooms are clean and roomy. Love it here. Dr. Joan C. F. Dr. Joseph T. M.
Surprisingly crowded. Had to wait 4 hours to get into our room. Not thrilled about all the extra taxes, resort fees, etc. Know Hawaii is expensive---this was over the top. We've been staying here since our kids were vey young at least the last 15 years. We belong to the Presidents Club which has always has amazing offers We absolutely love it here and some of the same employees have been here for years and always remember us and make us feel like family. The rooms are wonderful and clean, we always try to get an ocean view since the sunsets are amazing from this resort. The Villas are beautiful and we've stayed in them a couple of times, they have their own dipping pool, bbq plus kitchen and much privacy. I'd stay in these each time we visit if we could afford it. They are absolutely fabulous. Can't say enough good things about this resort! We love it and the staff if the best!! We'll be back next year! We could not find one single thing that was not absolutely wonderful with our stay! The hotel really needs an extensive renovation.. The hotel felt really run down. And didn’t feel like a luxury hotel at all. We decided to leave and go the four seasons next door.. the fairmont just wasn’t up to par the rooms and furniture and hallways .were run down .. and the service was so-so... felt like a bad Hilton. 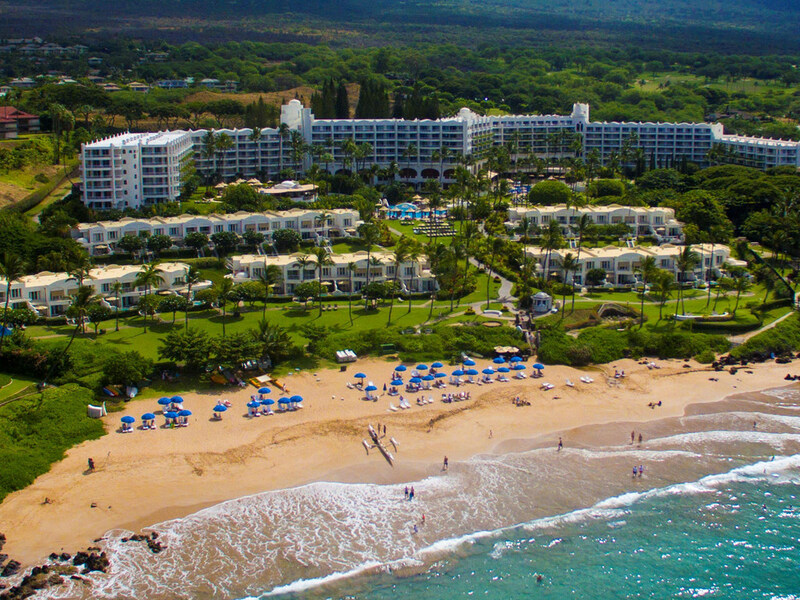 After checking out all the hotels along the Wailea beach ..fairmont does not compare to four seasons or even the Andaz which is also very beautiful. The staff at your hotel made the entire trip a real pleasure. I loved the care the staff provided to ensure we were comfortable and happy. My only wish was that the room had a comfortable chair as opposed to two straight-backed desk chairs. With no coffee table in the room there was no place to put a drink, especially since the arm of the couch was too rounded to support the placement of a glass. Mirazon was the wonderful woman who cleaned my room. She greeted me &quot;by name&quot; everyday, and I was very impressed by that. Deb was the valet who recommended a restaurant to check out back in my hometown of Sacramento. Luiz in Ko taught me about the food he served. Vanessa, Ashley, worked in the Breakfast Buffet. John worked the Breakfast Buffet also and was very thoughtful and conscientious. Chris in the bar down the stairs from the lobby taught me about Mai Tai's. Nico was the most helpful and gracious of concierges. Everyone on your staff has a great attitude, and seems willing to go the next mile if needed. Thanks for the memories! glitch at check-in...waited for our room to be ready A/C was not working, but service repaired it promptly Everything else went smoothly! I love that the hotel appreciates it was our 12 stay and always takes such great care of us. Everyone is super helpful and friendly, which I appreciate since it's our one vacation a year. We appreciate how the hotel's staff tries so much to accommodate our requests. It doesn't go unnoticed and keeps us coming back. Housekeeping was awesome! We appreciate how hard they work and how they take pride in their work...again the little extra things. Beach and bar staff remember us each year! I love how you keep your employees and they cont. to look after us each year. Thank you for a wonderful vacation!!! !